Hello and happy Tuesday. 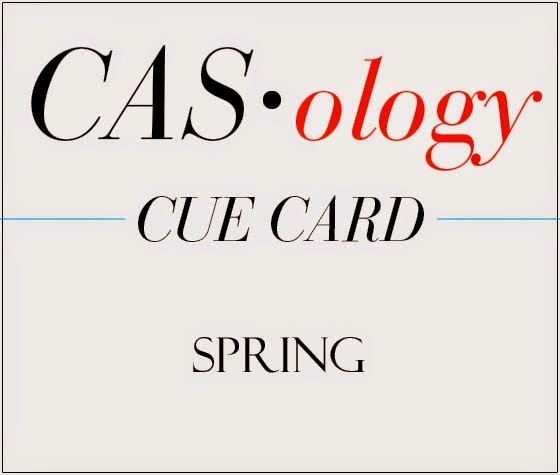 Time for another CASology cue word. Our word this week is SPRING. Here in San Diego, we have experienced the warmest March in county history. It feels more like summer and I find myself yearning for spring, just like all my friends living in colder climates, although for different reasons. I pulled out an older PTI set called Sweet Spring and did a little masking and coloring to create my sweet floral spring scene. I popped up my focal panel, and then adhered the entire Instant Camera piece to a piece of white tone on tone vellum, just to add some interest to the white space on the card front. I think of flowers blooming and the Easter and Passover holidays in spring. This card is already on it's way to a friend who celebrates Easter. 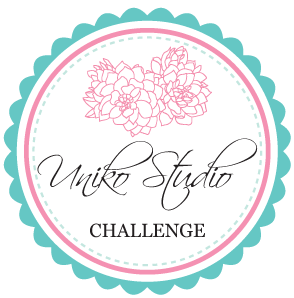 I am linking this card up at The Challenge #28 for their One Year Anniversary Celebration. Congratulations to The Challenge. So, how about you? 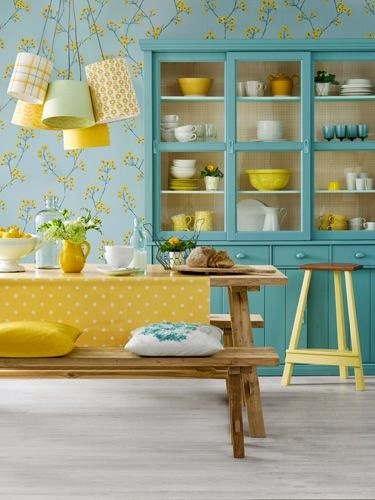 Are you yearning for spring? I hope you will play along with us this week. 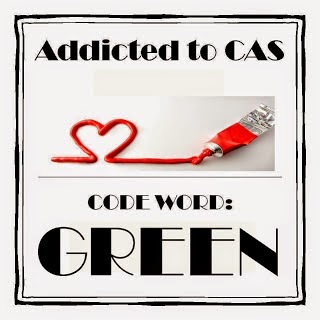 Please just remember to keep your card CAS. 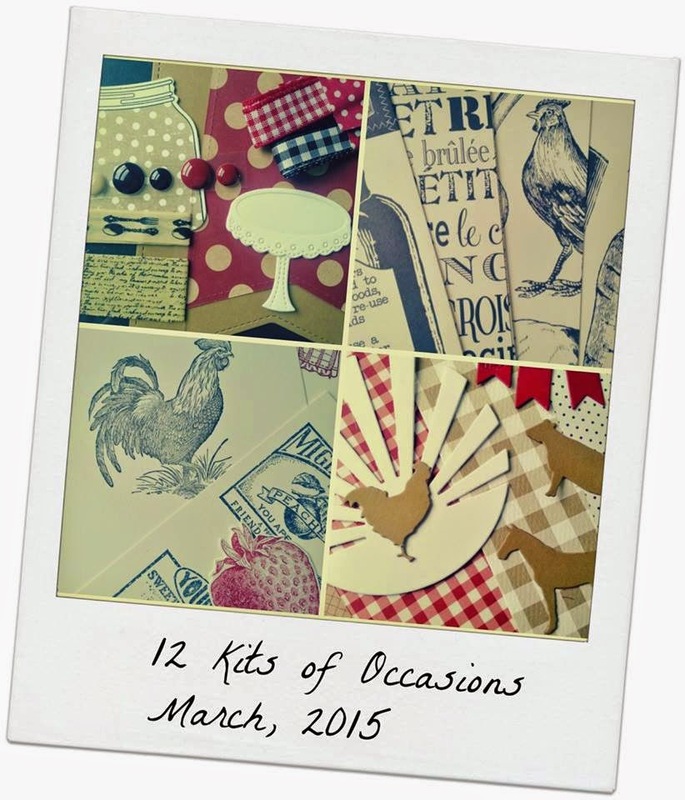 It's the end of March, and that means it's group post time for The 12 Kits of Occasions. 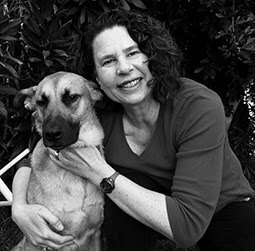 This month, Marybeth of Marybeth's Time for Paper is our host and the theme is Song of the South. Marybeth sent a huge kit filled with all sorts of fun stuff I did not have. I think that some of my favorite pieces were the really detailed stamped images that were so intricate I did not feel like I needed to color them (lazy me). Here is a picture of the kit Marybeth sent. And now I'll get right to the cards, because there is a lot to see. I just fell in love with this chef. (He sort of reminds me of my husband--tee hee). Doesn't this strawberry look good enough to eat? I embossed it a few times with UTEE and it is so very glossy. That's it for me this month. As usual, I ran out of time way before running out of supplies or ideas. A big THANK YOU to Marybeth for such an amazing kit. Even a city girl like me was able to create so many cards and have a great time doing so. Please head over to our 12 Kits of Occasions blog to see a list of team members along with links to their blogs. You can also see this month's supply list as well as our special Guest Designer for March--here is a hint--she lives in the South and tried to resign from our group last month--and now she is already back as our guest. Jeanne has one extra kit for the month of May, and you can leave a comment on the 12 Kits of Occasions blog for a chance to win a kit and join us in May. One of my favorite things to do is to just play around with my stamping supplies, trying out new ideas. 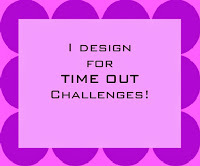 Time Out #27 and Just Us Girls #285 both had black and white with a splash of color challenges this week and I made three cards messing around with different ideas I had. All of these cards were inspired in some way by some cards I still had in the back of my mind from some posts by Susan Raihala, although I cannot be more specific than that. My first idea was to white emboss on black, using Doodlie Do stamps. My splash of color is provided by my sentiment (love, love this sentiment from Lil Inker, and at my age, I really could do with a stash of cards with this one) and some Turquoise Stickles. I started by masking off the edges of my black panel, and then I stamped a bunch of images to fill up the space. I had intended to keep the edges plain and to draw in a border with white gel pen. Well, when I removed the masking tape, there must have been some left over adhesive, because a thin layer of white embossing powder stuck. As this was already my 3rd attempt at this panel, I just left it as a kind of funky border. My next idea involved black stamping on a Melon Berry panel. I used Altenew Hennah Elements. This set is NBUS for me, and I cannot believe it has been sitting unused in my stash for so long. THANK YOU, Darnell, for encouraging me to pull it out because of your NBUS #4 Challenge. Too smitten with Hennah Elements to put it away just yet, I went literally black on white with a splash of color for my last card. I'll submit this card at Uniko Challenge #19, Anything Goes. That's it for me today. I have more ideas but no more time for the moment. I need to remind myself to just play around and explore more often. 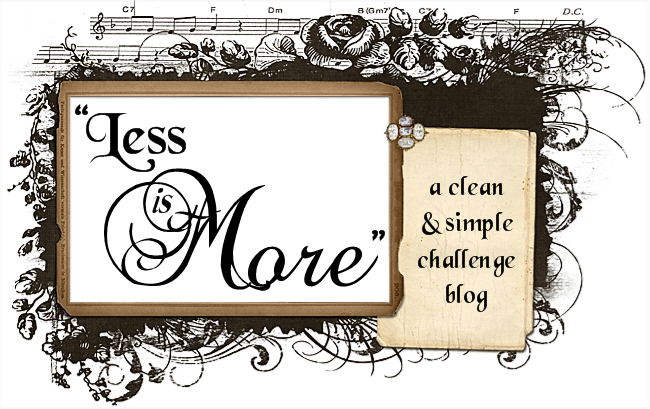 I am also linking up at Darnell's NBUS #4 Challenge and AAA #35 Bare Naked CAS Challenge. Hello and happy Wednesday. 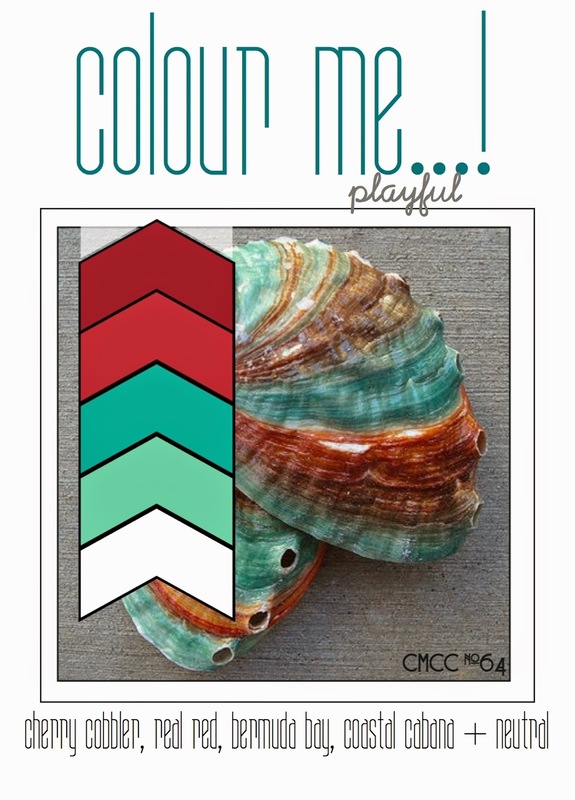 I'm here for my fourth and last post as a Guest Designer for Colour Me...! The month of March has really flown by. This week, I decided to use the colors to make a plaid pattern. Stamping a plaid pattern is a fun and easy way to combine colors. I stamped my pattern on a 5 1/2 by 4 1/4 piece of card stock so I would have enough of the pattern to have a full strip on the side of my card and enough to show behind whatever I ended up die cutting out of my front panel. There are a lot of good videos on how to stamp a plaid pattern. 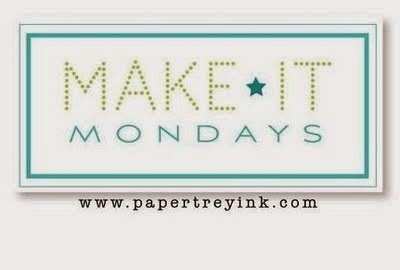 Here is a link to a Make it Monday video by Ashley Cannon Newell. I used Waltzingmouse Offbeat Backgrounds to stamp my plaid, but you could use any striped stamp. I hope you will play along with Colour Me...! 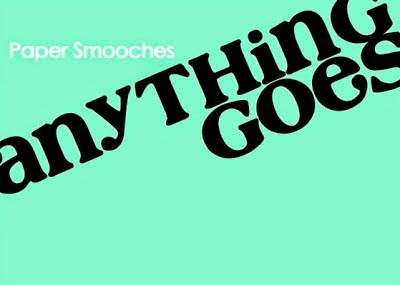 this week. Hello and happy Tuesday. 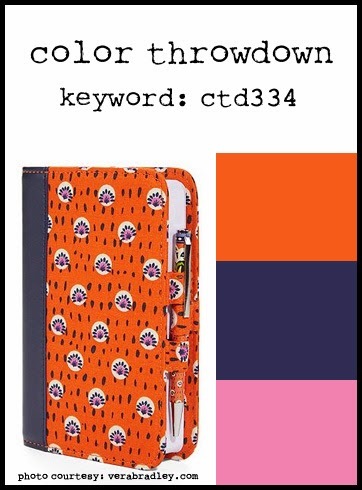 Holy cow did you guys blow me away with your gorgeous floral cards for last week's cue word. It's time for another CASology challenge. 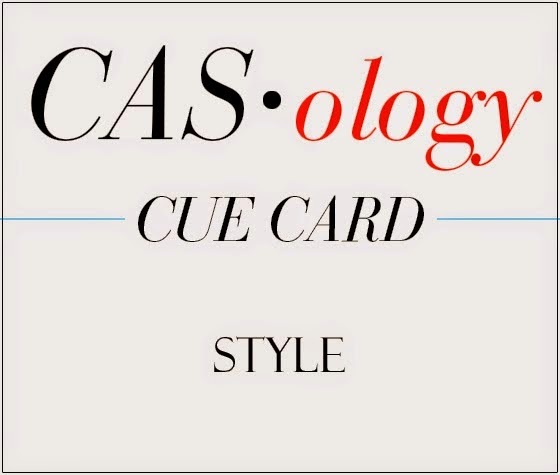 Our cue word this week is STYLE. Lots of different ways to go with this cue word. I can't wait to see how you are inspired by STYLE. I pulled out an old CSS set called Just My Style, and stamped a rainbow background on my card front. The pattern is not too busy because all the purses are line drawings. I think it would be fun to have lots of different purses in all these rainbow colors. I used the sketch at Retrosketches #157 for my inspiration card this week. 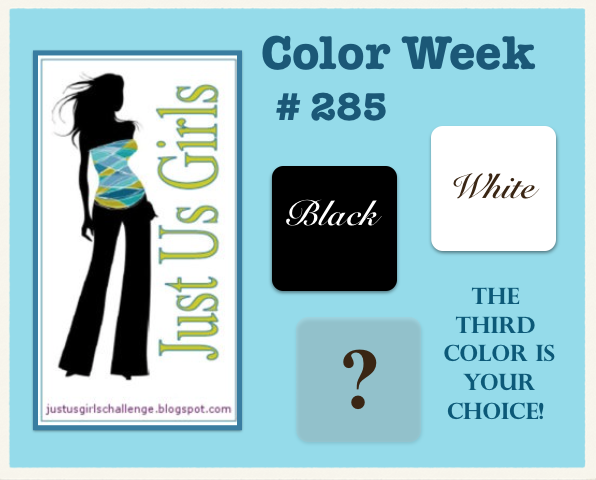 I hope you will play along this week and show us how you are inspired by the word STYLE. Just remember to please keep your card Clean and Simple. Happy Monday. I've got 3 cards to share today, so I will just get right to it. First up is my favorite of the bunch. I pulled out some flower stamps that have not seen ink in a while and did one of my favorite things--just stamped an entire card front in a sort of random pattern. 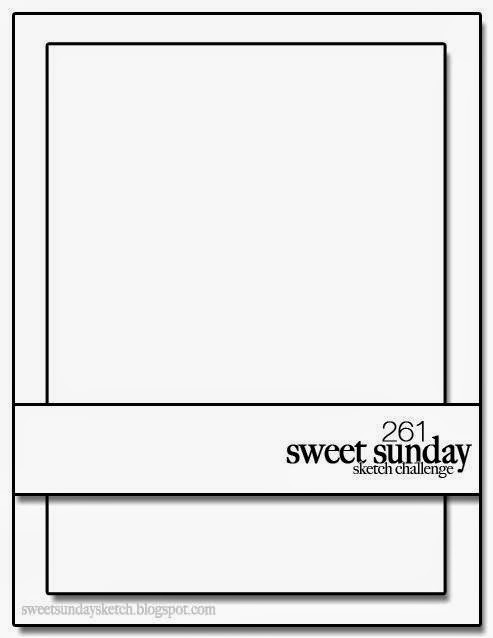 I used the colors from Color Throwdown #334, and the sketch from Sweet Sunday Sketch #261. 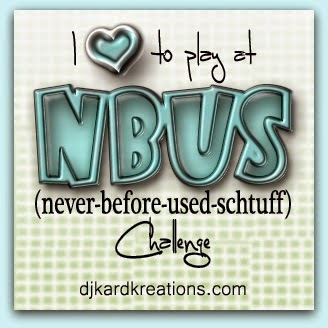 That pink ink--Little Piggy from WPlus9, is NBUS, so I am entering this card at Darnell's latest NBUS challenge. By the way, this is now my new favorite pink ink color. I ran the entire top panel of my card through with the Hexagon Cover plate used as an impression plate just for a little quilted texture. 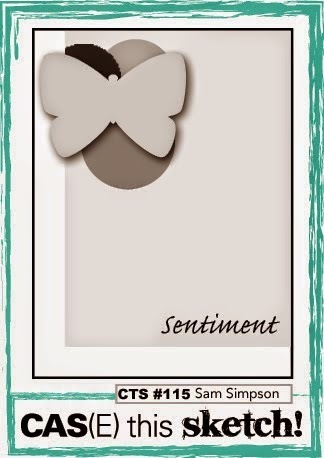 My next card is my 2nd entry this week using the sketch at CAS(E) this Sketch #115. I used SU Stippled Blossoms and watercolored the blooms a little bit. That crooked border is hand drawn, and I meant it to be crooked (LOL). I am also entering this card at AAA Cards #35: Bare naked CAS. 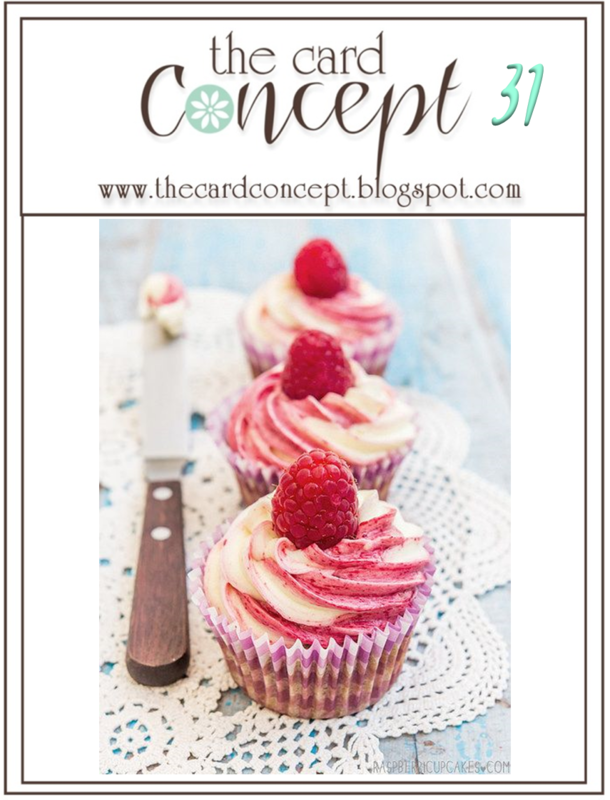 Last for today is a card shaped like a giant cupcake--inspired by the photo at The Card Concept #31. I think this might go in the Clean and Layered category. 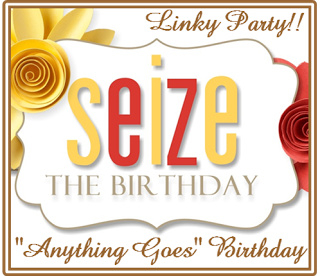 I am also entering this card at Addicted to Stamps, where the theme is Anything Goes and Seize the Birthday, without toppings. That's it for me today. Come back tomorrow for a new CASology challenge. TGIF, right? Happy Friday. I am looking forward to a very quiet weekend. DH and my youngest daughter are away for a soccer tournament, so it is just me and my oldest until very late Sunday night. I was inspired to pull out my Paper Smooches Botanicals sets by this card by Angela over at AAA Cards #35. I really like how she added purple to her design. She used flowers and I decided to use dragonflies. I am also entering this card at Paper Smooches Sparks Anything Goes, Addicted to CAS #59: Green, and Simon Says Wednesday Spring Pinterest Challenge. My next card was a complete mistake that I decided I really liked. I started by inking up the WRONG side of a new Darice embossing folder. I ended up with a bunch of smudges on the back side, but nothing on the raised side. I decided to try an ink roller on the raised side of the embossed paper. Roll, roll. Oops, there was some blue ink on the roller already that I didn't notice. It mixed with the Hawaiian Shores ink I intended to use. Roll roll--hey, I guess I am not supposed to roll on the top of the card, where there is no raised surface. And, the roller was missing ink in the places that were raised at the bottom of the card--so the top has all these sort of ghosted images. After pulling it out of the trash and studying it a while, I decided it was kind of cool, and perhaps I have invented a new technique. End of story. I am entering this card at Simon Says Monday to use an animal, and Addicted to Stamping #136: Anything Goes. Last up is a card inspired by the sketch at CAS(E) this Sketch #115 and the challenge at Less is More #215 to make a one layer card using an animal. It is a bit hard to see, but some of the action on this card occurs on the inside of the card. I pulled out a bunch of Lawn Fawn sets and pulled bits and pieces from several different sets. I used Distress inks for some of my stamping and also to water color some of the images. 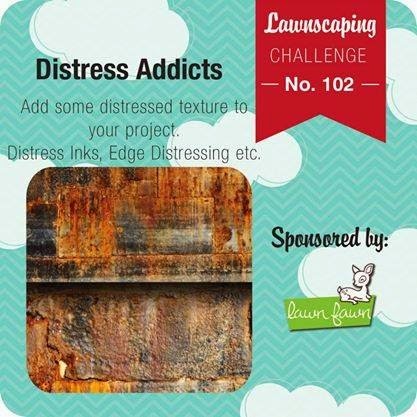 I am also entering this card at Lawnscaping Distress Addicts, Simon Says Monday to use an animal, and AAA Cards #35 Bare Naked CAS.